Well-known amongst her peers for her extensive contributions to law, Mary Ann Stiles has been a partner of Quintairos, Prieto, Wood & Boyer, P.A., since 2012. Her responsibilities with the largest minority- and women-owned firm in the country include participating in legislative activities and providing counsel to corporate clients. Ms. Stiles has also headed her own company, Stiles, Taylor, & Grace, P.A., since 1982. Over the years, she has accrued experience in workers’ compensation, insurance defense, advocacy, and administrative, regulatory, and governmental relations. She holds the distinction of being the first woman to represent the community full time, starting in 1978. Prior to her current endeavors, Ms. Stiles served as general counsel for the Associated Industries Insurance Company, Inc., Associated Industries Insurance Services, Inc., the Associated Industries Political Action Committee, and the Associated Industries of Florida. From 1986 to 1997, she held the title of special counsel of the Associated Industries of Florida, and from 1978 to 1981, she held the title of vice president of the Associated Industries of Florida. Ms. Stiles was an associate of Deschler, Reed & Crichfield from 1980 to 1981, an intern of the Subcommittee of Federal Procurement Practices through Senator Lawton Chiles of the United States Senate in 1977, and a legislative analyst for the Florida House of Representatives from 1973 to 1975. Ms. Stiles prepared for her career by earning a JD from the Antioch School of Law (now the UDC David A. Clarke School of Law) in 1978, a Bachelor of Science from Florida State University in 1975, and an Associate of Arts from Hillsborough Community College in 1973. She was admitted to the Florida Bar in 1978. To remain connected to her peers and professional community, Ms. Stiles joined organizations like the American Bar Association, the Hillsborough County Bar Association, the Florida Association for Women Lawyers, Inc., the Claims and Litigation Management Alliance, and HAWL. As a testament to her success, Ms. Stiles was the first woman inducted to hold the title of fellow of the College on Workers’ Compensation from the American Bar Association since 2009, and was honored as one of the Best Lawyers in America from 2016 to 2017, 2013 to 2014, and 2008 to 2011. Further, she was the recipient of the Legal Elite Award from Corporate America News in 2016, the Circle of Gold for Outstanding Alumna from Florida State University in 2011, and a LeRoy Collins Distinguished Alumni Award from her community college, and was named Lawyer of the Year for Tampa Workers’ Compensation Law – Employers by Best Lawyers® from 2014 to 2015. 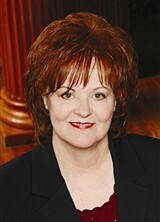 Ms. Stiles was also the first woman inducted into the Florida’s Workers’ Compensation Institute, Inc., Hall of Fame, and was honored as a top Florida attorney by the Wall Street Journal, Best Lawyers®, Florida Trend Magazine, Tampa Business Journal, Tampa Bay Magazine, and Florida’s Women-Led Businesses, among others. She has maintained an AV® Preeminent Peer Review Rating from Martindale-Hubbell for more than two decades, and was named “Queen of Comp.” by The Tampa Tribune. When Ms. Stiles isn’t working, she enjoys boating and reading. She also enjoys putting her skills to use in her community. She co-founded NWCDN in 2004, and served as a board member of the Boys & Girls Clubs of Tampa Bay, and an advisory board member of Larson’s Workers’ Compensation Law. Previously, Ms. Stiles was a board member, founding shareholder, and the chair of the advisory board of the Platinum Bank of Brandon (now CenterState Banks Inc.), a member of the Rules Committee on Workers’ Compensation for the Department of Administrative Hearings of the state of Florida, a member of the Florida Workers’ Compensation Task Force, and a board member and shareholder of Associated Reinsurance Brokers, Inc. She has also been the owner and president of Styles by Stiles, a shareholder and president of the 42nd Street Café & Bistro, the director of Eclipse, Inc, and a shareholder and director of Six Stars Development Company of Florida, Inc., along with many others.